With summer just around the corner, increasingly more people are starting to break out of their sedentary winter season routines and activity levels are on the rise. During the summer season, an individual’s participation in more cardio type of physical activities and exercises increments greatly. This increase of cardiovascular activities, such as running, biking, swimming, and other exercises, have many benefits in the body but, as with any type of physical activity, with an increase in physical activity, there is also a higher chance of injury. Exercise related injuries mainly occur due to improper biomechanics. The improper movements of an individual’s structure during physical activities or sports are often the root cause of spinal misalignments and muscle imbalances. If the body is not moving or functioning the way it was designed to, it can place unnecessary pressure and stress on a single side of the body or an incorrect area of the body. Through time, the side of the body that is being improperly overused can become irritated and inflamed, resulting in symptoms of pain and discomfort. 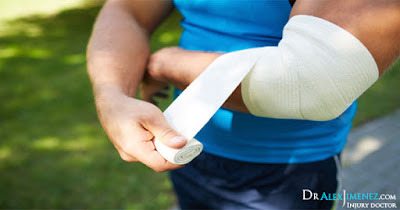 In these cases, sprains or strains occur, most frequently in a single or multiple of the larger muscle groups in the legs or other frequently used muscle groups, such as the shoulders. An injury and its associated symptoms, can tremendously reduce an individual’s ability to perform to their fullest capacity, ultimately altering an individual’s lifestyle. Regular chiropractic care and massage therapy can help diagnose and determine the source of your injury as well as help treat the injury and its symptoms. Occasionally, strenuous physical activity can aggravate a prior underlying condition but, chiropractic treatment can also help treat a variety of musculoskeletal conditions. Regular chiropractic treatment, including spinal adjustments and manual manipulation before experiencing an injury can likewise help prevent and strengthen the structures of the body to improve an individual’s overall function. Combining chiropractic care along with physical exercise this summer can ultimately improve your fitness, health and wellbeing.